Back on May 2, Eric Nam hosted a 'V Movie Talk Live' with Ryan Reynolds, the lead actor of upcoming Hollywood movie 'Deadpool 2'! 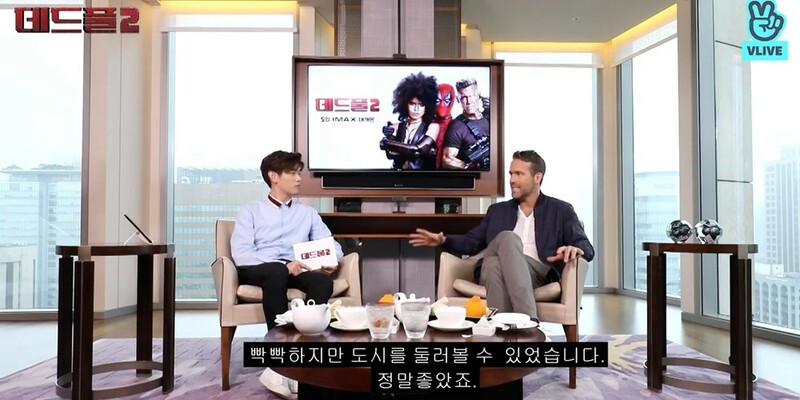 Eric Nam was able to interview Ryan Reynolds about a variety of topics, including Ryan Reynolds' engagement with fans during his visit to Korea, seeing Seoul during his schedules, and more. Who did you go see 'Deadpool 1' with? You can also find Eric Nam and Ryan Reynolds' full interview, below!